The Perfectha range is a highly advanced hyaluronic acid based dermal filler line that restores volume and fullness to the skin and correct moderate to severe facial wrinkles and folds, such as nasolabial folds, cheeks and lip volume. 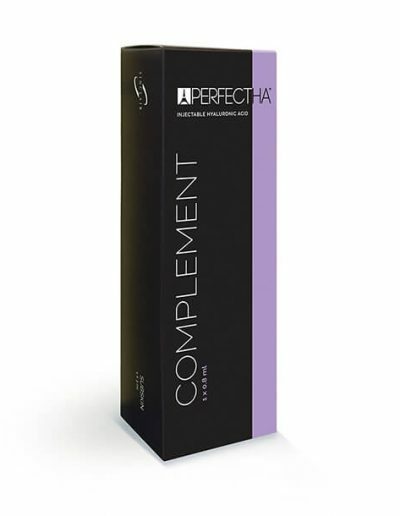 Perfectha provides optimal results with low injection volume. It is easy to inject due to excellent flow properties and it is long lasting with slow and uniform degradation. 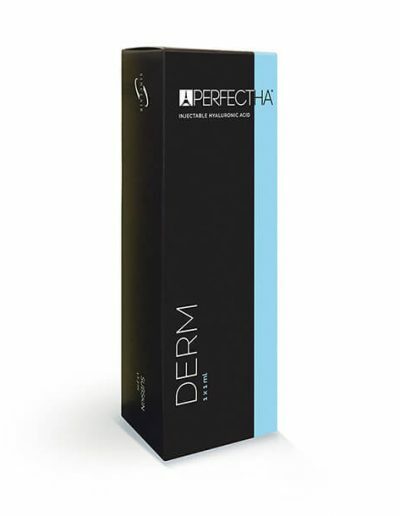 Perfectha Derm is a hyaluronic acid based dermal filler used in the mid dermis to restore volume and fullness to the skin to correct moderate to severe facial wrinkles and folds, such as nasolabial folds, cheeks and lip volume. Perfectha Complement is a hyaluronic acid based dermal filler used in the superficial dermis to help skin depressions and forehead lines. Perfectha Deep is a hyaluronic acid based dermal filler used in the deep dermis to treat deep wrinkles including nasalabial folds. Perfectha Deep is also used to contour the face, cheeks and chin and to add contour and volume to lips. 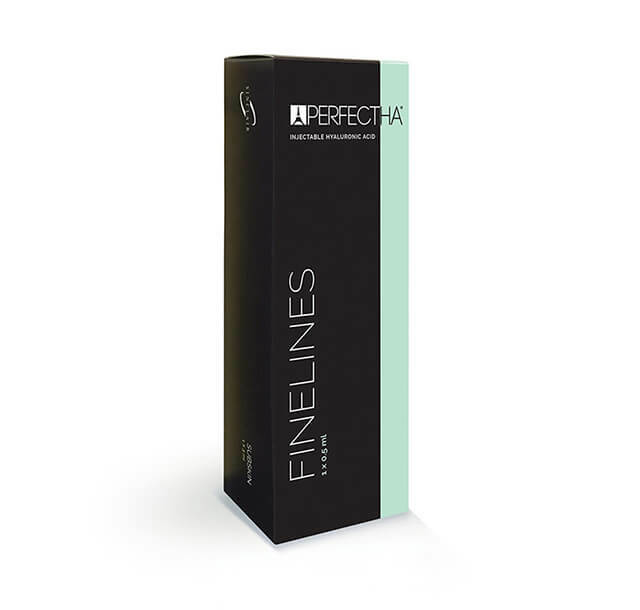 Perfectha FineLines is a hyaluronic acid based dermal filler used in the superficial dermis to treat fine lines and superficial wrinkles as crow’s feet and perioral wrinkles. 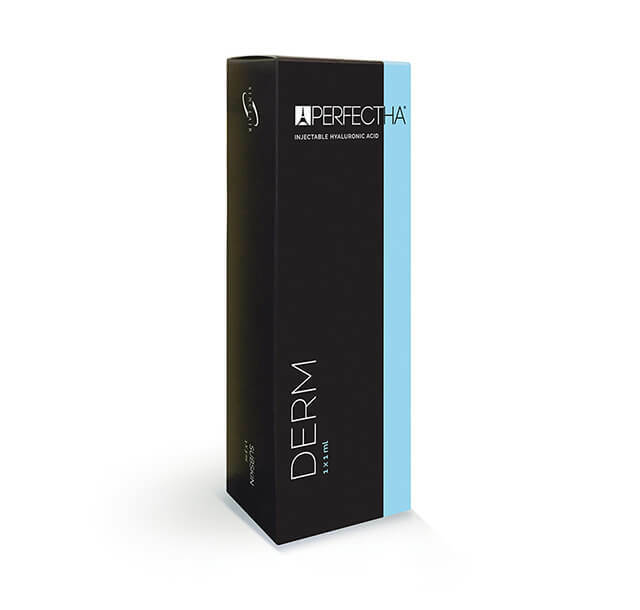 Perfectha Subskin is a hyaluronic acid based dermal filler used in the subcutaneous skin level and helps treating very severe skin depressions and deep tissue scarrings. Perfectha Subskin is also used to contour the cheeks, jaw and chin areas.